Direct embroidery is a process of sewing the design or logo directly into the material of the garment or other fabric materials. Direct embroidery is commonly used on garments or fabrics such as polo tees, hoodies, t-shirts and uniforms. We can even use direct embroidery on items like leather golf bags and footballs! The versatility of direct embroidery is endless, and you can have a wide range of colors in one embroidery. 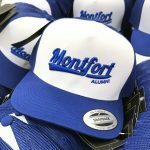 Direct embroidery is cost effective, and hence one of the most popular and preferred embroidery methods of companies and sports team everywhere. 3D Embroidery is a technique where stitches are thickened and raised, giving a three-dimensional look to the embroidery designs or logos. 3D embroidery is commonly used on garments or fabrics that do not require much washing such as caps, jackets and outerwear. 3D embroidery is the latest development in embroidery techniques and not common in the market. If you would like to have something outstanding and different, 3D embroidery is definitely the way to go. Applique stitch embroidery refers to a needlework technique in which patterns are created through attaching smaller pieces of fabric to a larger piece of contrasting fabric. 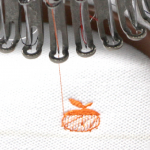 This technique works well for big embroideries and wordings, giving it a natural outlook. This technique can be used for uniforms, baseball jerseys etc. An embroidered badge is a piece of embroidery work created by using a fabric backing and thread. Customers select badge embroidery to avoid sewing threads at the back of the fabric. 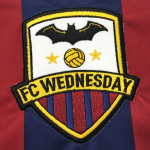 Embroidery badges can be attached with a pin, sewn on, iron-on or heat-activated adhesive. Embroidery badges are commonly used by uniformed organisations, sports teams and individual enthusiasts.